When I got back into vinyl, For Emma, Forever Ago was one of the first albums I bought. 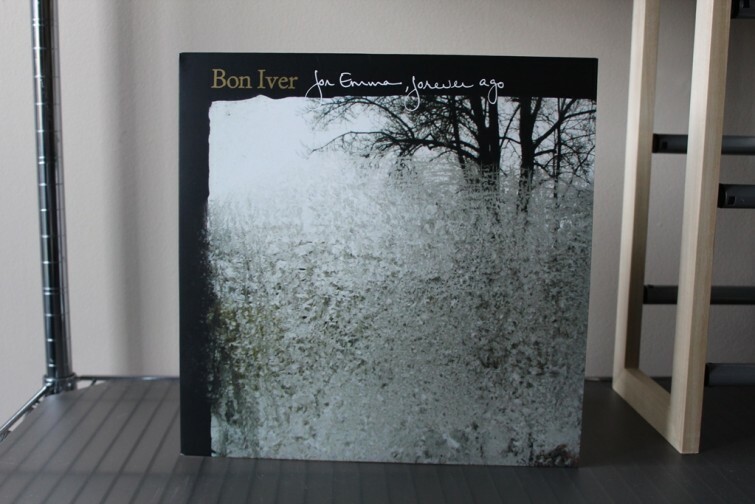 Its low-fi strumming coupled with lead singer Justin Vernon’s powerful vocals provide the well-suited intimacy that feels elevated on the vinyl format. In 2005, Vernon moved to a remote cabin alone in the woods of Wisconsin at the onset of winter for three months. This isolation must have awakened something bold and honest and soulful and perfect, because Vernon produced one of the best albums of the decade. And it launched a musical group that would later win two Grammy awards in 2012– Best New Artist and Best Alternative Music Album. All the basic tracks for the record were done by Vernon in the cabin, with a few additional instruments (for example the horns on For Emma) added later. The low quality audio has been the target of some criticism. But to me, the sounds of the cabin and creakiness of the weathered instruments adds to the charisma. The acoustic strums paint the picture of someone cold and distressed, using instruments to stay warm. “For Emma, Forever Ago” is hauntingly poetic, but there’s also a sense of optimism. The tracks’ narratives portray someone who is searching for perspective rather than wallowing. Vernon uses natural imagery in verses that gives the album a more universal and timeless appeal. “Flume” opens the record with Vernon’s abstract but warm mumbling delivery– which he’ll later blend with disarming falsetto. Adding to Vernon’s original session recording, Christy Smith of Raleigh’s Nola added flute and drums to “Flume,” which gives the track a richer and more textured sound. It’s a song you’ll want to sing along to after just one listen, even though you might not catch the actual words after several repeats. In “Skinny Love,” Vernon sings, “Come on skinny love what happened here/ Suckle on the hope in light brassiere.” He explains the song is “about that time in a relationship that I was going through; you’re in a relationship because you need help, but that’s not necessarily why you should be in a relationship. And that’s skinny. It doesn’t have weight. Skinny love doesn’t have a chance because it’s not nourished.” “Skinny Love” is more personal and autobiographical than any other track on the album. In “The Wolves (Act I And II),” Vernon layers a wall of vocals to build up to a crescendo with the words “What might have been lost,” echoing then fading. The Wolves (Act I And II)” is unsettling and therapeutic and chilling and painful. For Emma is frequently compared to the work of Iron and Wine. And although I definitely see the connection, there’s another album that I more closely related to Bon Iver’s freshman effort– Midnight Organ Fight by Frightened Rabbit. Similarly, both albums were written in isolation by someone who was experiencing heartache with similar folksy falsetto. They are widely considered two of the greatest “break-up albums” of all time. And both should be a treasured addition to every record collection.